As a procurement team, you're expected to deliver savings. Hence one of your key activities at the beginning of the financial year is to forecast how much you shall achieve. This is where things get both tricky and diverse! In our many years in the procurement industry, we've seen several approaches to this. Some procurement leaders devolve the task to the individual team members, a sensible move given they usually have knowledge of the intricate details. Contract end dates are also a major factor when considering what spend can be influenced. We've encountered clients with 30 year contracts. Without triggering the early termination clauses, contracts can result in large chunks of spend being omitted from your plans. 3) Negotiation history: it is unwise to predict future savings without understanding past achievements. 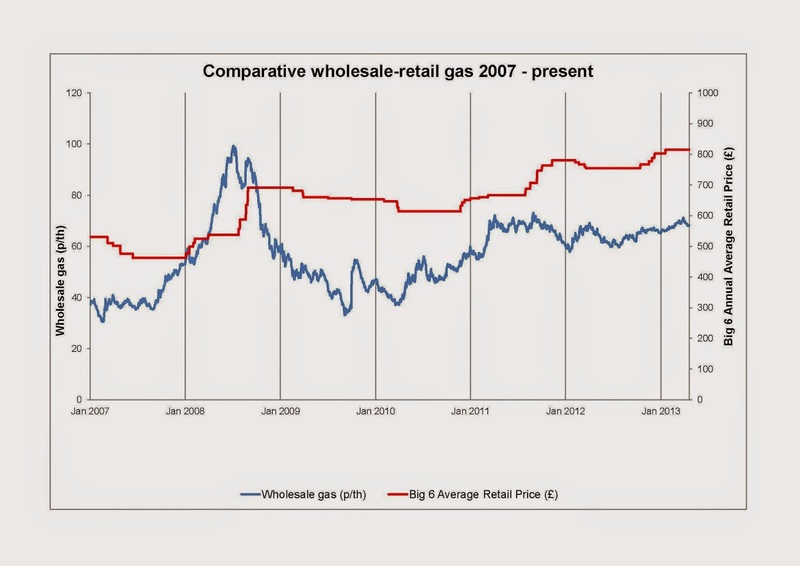 For example, a contract that was recently penned after a scrupulous reverse auction process is highly unlikely to deliver further savings without changing the scope of the goods or service. However a spend area that has been left unmanaged for a number of years can readily yield savings. Use historical performance to quantify what opportunities have been left on the table. 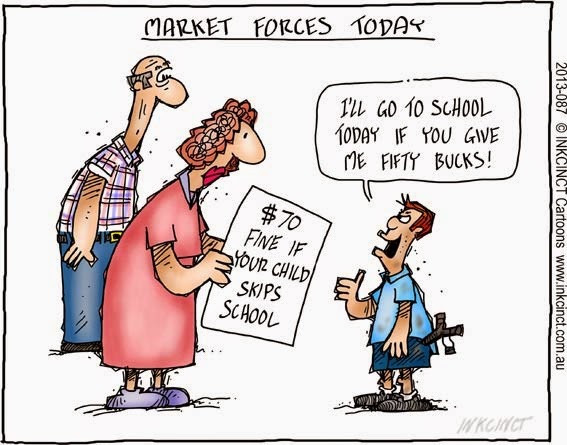 4) Market forces: ideally you'll be procuring your goods and services from a fragmented supply market that has healthy levels of competition and motivated SMEs with appetite for your business. This way you're highly likely be able to succeed with your negotiation outcomes to source that ideal supply partner. Analyse the market for each of your spend categories in order to accurately judge your savings potential. 5) Specifications: the devil is in the detail. Whilst you wouldn't want to get bogged down during your budget planning with digging out CAD drawings, contract terms, SLAs and other spec. related materials, it is most certainly worth knowing conceptually how available and accurate such information may be. It would be unwise to pin a significant saving against a spend category that cannot be readied for negotiation, or even worse, may be cancelled mid-way through the tender due to poorly defined requirements. 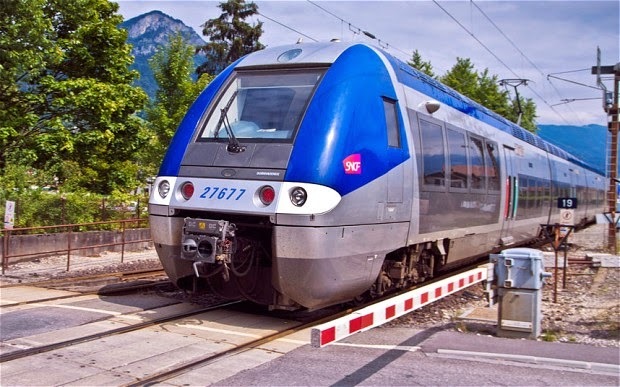 €50m had to be spent on 'shaving' French train platforms that were too narrow to fit the new trains due to an oversight when preparing the spec. There are a myriad of other factors that can weigh into your savings potential aside from those above. For example the prowess of your organisation's brand or inter-linking your spend categories to ensure you leverage all of your spend with a particular supplier instead of focusing on each category in isolation. Therefore it isn't an easy task but it can be simplified by adopting a robust methodology. It is this methodology that enabled us to create our Category Dojo app to help organisations across the globe estimate their savings forecasts to within a few percentage points. If you're curious, try it out to learn how it can be done. Are eAuctions' benefits also their Achilles heel? eAuctions are a great negotiation tool when used correctly. However a supplier recently mentioned to us that they will no longer take part in eAuctions and will only take part in RFx’s (Request for Information/ Proposal or Quotation). When asked why, they said they had recently taken part in several eAuctions, in which they finished in the pole position only to see the business awarded to the incumbent. In the CIPS guide to eAuctions its research highlights: “60% of buyer auctions are awarded to incumbent suppliers with only 22% of these suppliers reported to have won an auction on price alone.” This can be understandably frustrating. However, is this a good enough reason to decide to not take part? Auctions have purportedly brought many benefits to table. They are quicker, more efficient and transparent than traditional sealed RFQ’s and face to face negotiations. They have also been claimed to improve supplier relationships (iAdapt research from UWE) and further to this there is no reason why you can't bring the top suppliers in after an eAuction to discuss the other parts of the Service Level Agreement (SLA) for example (obviously referring to the private sector!). Lets examine the mainstream alternative which normally takes the guise of a sealed RFQ. Here bids are submitted, you would have no feedback on your position and would simply find out if you have won or not. Even if there is a face to face discussion, it is likely that the specifications would not be as tight as in an eAuction, which results in an even less quantifiable result. However, many suppliers seem to favour this. Does finding out their position in an eAuction put suppliers off? It could be that 95% of business is awarded to an incumbent from an RFQ but suppliers are not informed of their position. Is this a case of what you don’t know won’t hurt you? And perhaps suppliers can more easily hide margins during an RFQ or even face to face negotiation as they are just not pushed hard enough. In reality an eAuction is a far more time efficient way of negotiating. If we wanted to take part in an Auction, we might go below our list price if we want the business and the price is sustainable. If we still lose then at least we acted competitively and we have more feedback. However to reproduce this competition in a RFQ or face to face negotiation is much more difficult which is perhaps why some suppliers are hesitant about eAuctions. We will also concede that during an RFQ process, you are more likely to have more personal contact with the buyer although this can be the case in an eAuction process too. You are an experienced procurement professional. You have been completing tenders via phone and email since 2001. When you need a quote, you simply pick up the phone, call your suppliers, get a few prices and go with whichever one can deliver first. Sometimes you find yourself asking; is this the most profitable way of operating? Is there a better way of working which could allow me to include more suppliers? If I want to find out what was paid and from whom the last time I bought a specific item, do I have to scroll through hundreds of emails to find out? Your current way is clunky and frustrating at times, but that's just how it's done... or is it? One day, you leap up from your desk and cry 'ENOUGH IS ENOUGH! There must be another way. ', after plugging 'eSourcing software' into Google, you go in search of a more simple, more accountable way of sourcing what you need. Due to the easy to adopt, pay as you host SaaS Model offered, you opt for Market Dojo. After signing up for free on the site, you log in and head to the Sandpit to create your first eTender. But what is all this jargon? Your comfort blanket of ignorance has been removed and now you have to learn a whole new world of terms and phrases, varying processes, different types of auctions, and strategies to make your event successful. Quite overwhelming really? Nope. The Market Dojo team are a kind breed and want to make the transition from prehistoric tendering to suave eSourcing as smooth as possible. Not only have we made our system really easy to adopt for yourselves and your suppliers, all of the fields which may cause confusion are marked with an 'i', when you hover over this, you are provided with in-depth details of what it means. If you're still feeling bamboozled, we have also provided you with a wealth of resources and videos which you can access for free after registering on the site. Our resources really allow you to get to grips with how the tool works. From demystifying jargon to providing you with templates for uploading lots, the resource page is a great means of finding out what you need to know. And you can access them in your own time, for free. With over 30 video tutorials, divided into supplier support and participant advice, you can really find out all you need to know without even having to pick up the phone. If your suppliers get confused, you have a host of knowledge at your finger tips ready to pass on. Before you know it, you've signed up to Market Dojo (Did I mention it's free? ), watched a couple of tutorials, created 3 RFQs, a PPQ and a £10,000,000 auction on stationery, all ready to go live once you purchase your licence. You've done it all by yourself, without having to arrange any meetings with the Market Dojo team, no complicated supplier webinars across differing time zones. And if you did need to ask for help, you can always pop us a question on live chat where one of the very knowledgeable team can offer you some light consultancy advice. Well, what are you waiting for? Head over to our site, check out our resources for yourself and make the easy move to eSourcing. On Thursday 16 April Market Dojo attended CIPS Bristol event at Butcombe Brewery. I had not attended a CIPS Bristol event before, but was in the area and my colleague, Nick, had organised our attendance. The journey from Market Dojo HQ to Butcombe Brewery took us along the M5, and then through some of the beautiful countryside around Bristol. We arrived at 7pm for 30 minutes of networking before the tour. The room where we congregated had a long bar, and interesting information on the history of the brewery. Everyone in attendance was friendly and anticipating an interesting evening. After some procurement related chit chat the tour started! The tour was lead by Martin Love and started with a 10 minute introduction in the bar. Martin was clearly passionate about the brewery, and had a wealth knowledge about all aspects of the business. As a keen beer drinker, I found the talk fascinating. The talk covered history, business aspects and then moved on into the process of making beer. We then toured the brewery, following the steps in the process from the arrival of the hops, the importance of the water and how the barrels rotate through the supply chain. Butcombe brewery do supply some beer to Tesco, and Martins explanation of the negotiation process and all the factors involved was particularly interesting to the procurement audience. Butcombe maintain a ratio so that they do not become too reliant on one customer and can retain a balance of power. After the tour, we returned to the bar for an opportunity to sample the beer. As my colleagues were both driving, I did my best to maximise the amount of sampling that I did, encouraged by the team from the Brewery. This gave us another chance to chat to the other attendees and the team from the brewery. I learnt some great facts about cider apples, and that Butcombe's new Czech style Pilsner is preferred by the under 35's, who have different taste buds to those of us who are not. Far too soon, it was time for us to leave, and my chauffer for the evening to drive me home. I would like to say a huge thanks to the team at the brewery for such a great tour, to Tom Casey and CIPS for organising it and to Nick and Alun for driving me to and from the brewery. I think that the idea of CIPS engaging with local business is a really great concept and would like to see it extended. I would also definitely recommend the brewery tour (and the beer)! In the bar, tasting the Pilsner! Sun, eSourcing and Strategic planning- UWE and Market Dojo. Through fortunate timing yesterday (14th April), Market Dojo was able to escape the confines of the office and make the most of the glorious sunny weather in Bristol. The purpose of our visit to Bristol was to give an informative (and fun!) lecture to the MBA students at UWE Business School involved in ‘Systems, Structures and Operations’. We arrived at UWE business school and met with Dr Amit Mitra from from the Dept of Strategy & Operations Management for a bite of lunch in the cafeteria (and very tasty it was too) before heading to the lecture room to meet the students. A presentation giving an overview of Market Dojo, how the company was formed and plans for the future made up the first half of the lecture. A lot of the students had experience in areas which could be applied to Market Dojo, such as procurement, software development, business strategy. This made for some very interesting questions and great interaction throughout the afternoon. The final hour of the session encompassed our game. In essence, the group of 26 students were split into teams of 6 and all invited to take part in a dummy reverse auction made up of 4 lots. Each student represented a supplier and their challenge was to bid on all four lots, winning the event for their company without falling below the minimum value threshold. The winning team won with two lots, still managed to make a bit of profit for the company and on top of that, received some chocolate as a prize. Overall it was a great day for Market Dojo; we got to meet some of the next generation of potential business leaders, CEOs and entrepreneurs- maybe even some future Market Dojo employees, there were a lot of questions about our product and we struck up some good debate, we also learnt a bit about how eSourcing operates in different cultures. The students gained some insight into the application of eAuctions and eSourcing and hopefully enjoyed learning about Market Dojo’s journey as much as we enjoyed hearing from them. Earlier we posted an article on a brand new way of using the online reverse auction - to negotiate scholarship tuition fees! 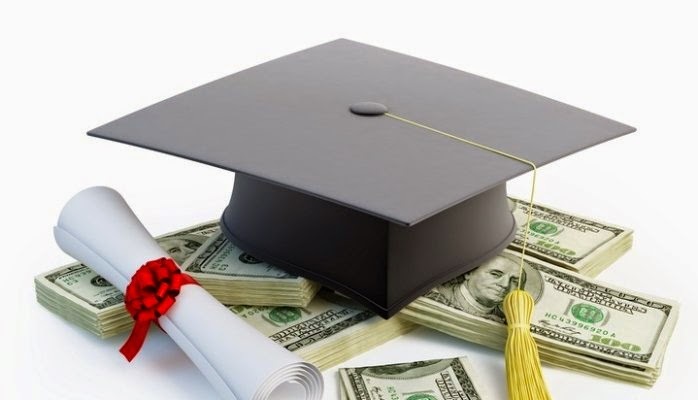 To some, this may seem to be a dubious approach to offering scholarships, as traditionally it would follow a means-tested assessment of the family's situation. And so let us try to explain in more detail why the reverse auction process works so well as a far more equitable alternative. The bottom line is that the Morning Star charity foundation give away $30,000 towards private / home school education, which is a noble deed however you look at it. The foundation could simply have donated the money evenly to all parents who express the need. Let’s say that 100 parents apply, they would each receive $300. That’s great but it is very unlikely to make a material impact to the parent’s financial situation to enable them to put their child/children through private education. What this highlights is that there is a case that parents say ‘unless I receive $X in grant money, I won't be able to follow through with this scholarship’. Therefore it would be self-defeating to distribute the funds to every parent that applied. Alternatively, the foundation could operate as a typical bursary by placing 10 scholarships on offer (each worth $3000, which would make a material impact) and run a series of interviews in front of a judging panel to means-test and assess which parents require it most. However, this is an onerous procedure for everyone involved and places the decision entirely at the whim of the panel of judges. It would also mean a number of parents would be refused a scholarship without any recourse. Hence the foundation came up with an idea. Let the parents state how much they would need to enable them to put their child through private education. Ultimately, some parents might only require $1000 to settle this decision, whilst others might only entertain the full $3000. The foundation initially capped the number of scholarships at 10 to ensure the funding wasn’t too diluted. To proceed, the foundation could have emailed/called all the interested parents to gather these individual ‘bids’. What would likely happen is that all parents would start high, as is human nature. However, the parent who found themself in 11th place, narrowly missing out on a scholarship, might wish to act on that feedback and offer a revised bid that could pop them into the top 10. The now recently deposed parent might wish to place a counter-offer to take back their spot. And so you can see we are into an auction scenario as parents compete for their scholarships, yet bidding within their means - just like any other reverse auction. As the case study explains, as the bidding went on, new scholarship positions became available as the average ‘bid’ from the parents decreased. In one of the auctions the foundation ran last year, every parent in the auction secured a scholarship. That only happened because some parents were able to supplement the scholarship with their own money, enabling parents without any of their own spare cash to still qualify, and so it was a true win-win. This would never have been achieved had a panel interview process been adopted. And so in summary, we believe the reverse auction approach is a very fair way to allow parents to take matters into their own hands to qualify for a scholarship. It increases the number of children that benefit from the funding, yet prevents dilution to a level where the individual donation is not sufficient. We all owe it to the participants for an Online Negotiation Event to be run in a fair, open and expedient fashion. To help you out, the Market Dojo team have created a guide which outlines the important factors you should have in mind whilst hosting your Event. The guide (which is free to download from the Market Dojo site) contains many more pointers, but here are our Top 3 Do's and Don'ts to get you started. As a Host moves forward with an Online Negotiation Event, there must not be an underlying motive to push one participant, but to be genuinely open for any participant to be successful. Participants will only be willing to commit themselves to an Event if they feel there is something to gain. Without your participants, you have no Event. 2. Include your internal stakeholders in the process. This process is highly visible and auditable. Many people in the organization may be affected by the outcome and the last thing you need is difficulty in implementing the final decision. To avoid this, best practice dictates that you should involve your internal stakeholders early in the process, canvas their views and input to the process to gain their confidence and buy-in. Then any conclusion will be theirs as well and implementation of the final result will be easier. Compound this by inviting them to watch the online negotiation when it takes place. 3. Create a clear specification. The creation of a clear specification will benefit all that take part in the Event. By clearly defining what is being negotiated via the Event will strengthen the Hosts position and help obtain the best possible result. All parties will be bidding on a like-for-like basis and since the risk is minimized, the Host can obtain the best solution. 1. Change major details just before an event. We understand that anything can change as a Host moves through the process. Any major changes will be automatically communicated to the participants. However, in the interests of everyone, try to avoid changing major details in the closing stages before an Event. Not only will this de-motivate your participants, it might create an unfair playing field and affect your chances of obtaining the best result. 2. Change your process after the event. Stay true to your process. For instance, if you have communicated that the lead bid wins, you must hold true to your word unless that participant has demonstrable flaws. If you are concerned about the final price, then set your qualification bid carefully or leave the choice of the final participant at your discretion, i.e. Host's Choice. 3. Let participants bid after the event. You have initiated a fair process which is clear and open to all. By letting participants bid after the event ruins your credibility, the professionalism, can affect your future events, and gives Online Negotiation Events a bad name. If you follow this advice then your participants will appreciate the professionalism and courtesy with which you have conducted your Event and so will be more willing to extend the favour back to you. If, however, you don't take heed of any of this advice, then be prepared for your participants to walk away. For more Do's, Don'ts and some fundamental Not Alloweds, download the full guide from our resource page at marketdojo.com. Working with a local horror film producer we made a series of light-hearted videos to inject some humour into a procurement professionals day. The basic premise was based on various ways for a business to save money. As the raison d'etre was very simple, this was probably easier than most. We would film a ‘before’ and ‘after’ sequence with different crazy ideas for savings money before realising that Market Dojo is the answer. Luckily we found someone who was all in one. Lee is an Award Winning freelance Writer, Director, Camera Operator, Video Editor and Motion Graphics Designer. He has some great showreels that you can see here. We were very fortunate with Geoff Prewer stepping into the breach. A consummate actor with versatile skills. As you can see, not someone shy to put on some eyeliner. Made up of Alun, Nick and Justyna from the Market Dojo team! It is amazing what you can do with a couple of plyboards, a lick of paint and photoshop. By simply moving the boards we gave the impression that he is working in an office with no doors or windows for the ‘before’ shots. if you look carefully you can see that the photo of Geoff’s family is made up entirely of Geoff! We started off with a lot of ideas which were a lot of fun to come up with but in reality you just have to practice. In truth it is not our first effort to go viral. Our first effort was the Ninja Lizard based on the Ninja Cat! Maybe not subtle enough though. Our second foray into the area was using the lovable ‘Cactus’ (a friendly Bearded Dragon) who comes up with some fanciful ideas with an analogy to show Market Dojo is a new way of thinking. Slightly more ‘off the wall’. And this brings us on to the latest set of videos on saving money using our lovable but slightly deluded Andy Cipher (the name of our character). Originally all our videos had a script although we found it far easier to keep it as simple as possible with no script. Not quite the silent movies of Charlie Chaplin although they seem to work well. We filmed them over two weekends. The first weekend representing the ‘before’ shot with the hapless Andy Cipher thinking of some weird schemes to save the office money. The second weekend involved shooting the scenes where he has seen the light. It is truly amazing to see what how much can be achieved with so little. It really is contained within the eye of the beholder. It didn't help that we forgot the chair but pictured above above, the guys faithfully went to retrieve it. And as you can see from below, it did make a great final video. The whole experience was incredibly rewarding and lots of hard work. Did we manage to create a viral sensation? Given our views it would seem not. Have we brought a smile to the drudgery that is know as procurement, perhaps you can tell us?